Do you remember ‘back in the day’ when businesses would only advertise themselves in newspapers, local magazines or on giant billboards that cost a fortune to use? The modern world provides us with so many more outlets for advertising, and as we enter 2019 it looks as though Social Media continues to dominate the advertising world. Sometimes, we are asked what value Social Media actually has by small business owners, and whether we think they should be taking advantage of the various platforms available. Our answer is always something like the following: Social Media can add massive value to your business and YES you should most definitely be using all platforms that you possibly can. The world of Social Media is now huge and with platforms available such as Facebook, Twitter, Instagram and LinkedIn, your business can greatly benefit from using it. One of the best things about Social Media is that you control the cost, and sometimes, this doesn’t actually have to cost you anything. Some businesses prefer to use platforms merely to make an online presence and gain followers and customers through using tags and linking their social pages from their website, whereas some businesses like to take full advantage of the paid advertising tools available, and usually see a great increase in their client base as a result of this. Build & Manage Your Reputation – Social Media is great for this as many platforms now allow customers to rate and review the business/service they have just used. So, not only can you build up a great rating and cluster of reviews for your potential customers to see, you can also deal with any negative reviews (because we all get them sometimes!) in a professional and effective manner. Replying to any negative comments about your business on Social Media allows all of your followers to see that you do address any concerns from your customers and that you deal with these as professionally as possible, therefore gaining you and your business respect and trust. Customer Engagement – Platforms such as Facebook, Twitter and Instagram are great for this. Not only can you use your social accounts to advertise and promote your business, but you can also use them to gain likes and followers in other ways. Many businesses carry out events to raise money for various charities such as inhouse bake sales, sponsored marathons or dress down days; Social Media is a great way for showing the world that your business partakes in giving back to the community, which in turn results in more followers, which then means your product is reaching more and more people. Recruiting Staff – This is where LinkedIn really stands out from the rest as it works as a purely professional platform,allowing professionals to connect with each other and view each other’s profiles/work history. This means it is great for recruitment for your business and it has various built in tools and options to allow you to get the most from your recruiting. It also offers various paid packages for businesses to support them with managing the costs of their recruitment and keeping these as low as possible. Advertising Campaigns – Facebook is an excellent platform for businesses to advertise through, as it allows the user to create campaigns and fully control the cost of these. This means, whether your budget is £2 or £2,000 a day, Facebook can work for you. Campaigns can contain more than one advert, and all adverts can be tailored to target different audiences. For example, you might run one Ad to target males and females over 35 years of age and who live in a certain geographic location and run another Ad to target those below this age in the same location – Facebook provides you with analytics for each Ad, so you can see which is working best for your business. This means you then know who and where to target in the future! As you can see, there are some great benefits to using Social Media, and we have only brought a few of these to your attention above. Remember, Social Media does take time, dedication and consistency to bring its full benefits to your business; posting should be regular and up to date, and time should be dedicated to linking your platforms to those of others through likes and follows; this in turn will build your own following. Though some businesses prefer to keep this inhouse, many find they just don’t have the time and so out-source this to a third-party Company to manage. 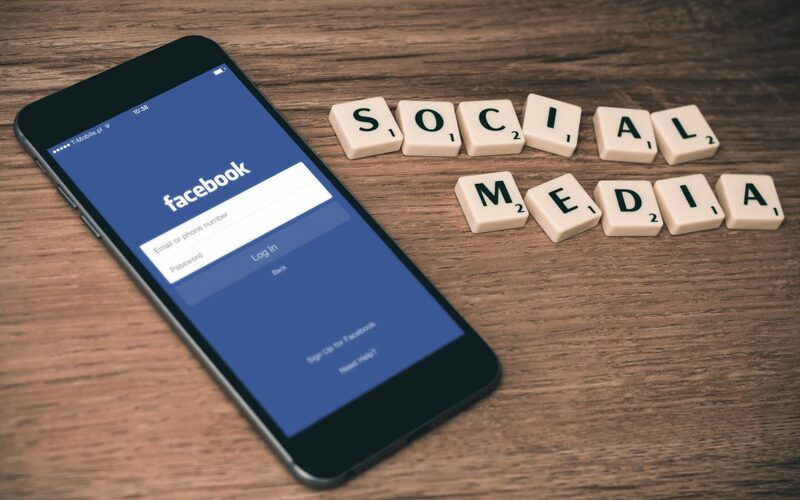 Here at Garvey’s IT we offer Social Media Management services, which means we take over the running of your social platforms, freeing your time up for other tasks. What’s even better, we are highly experienced in this field, so we really can ensure you are getting the most out of your Social Media accounts. If you would like some further information on our Social Media Management services or to find out how these could work for you and your business, then get in touch today for a chat.